Twelve-year-old Ethel Leatherhead only meant to cure her acne, not turn herself invisible. But that's exactly what happens when she combines herbs bought on the Internet with time spent in a secondhand tanning bed. 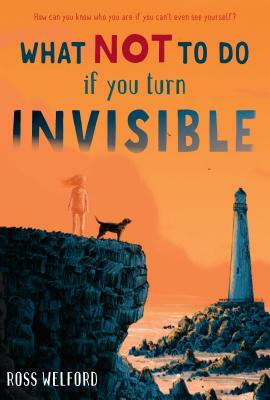 At first it's terrifying to be invisible ... and then it's fun ... but when the effect doesn't wear off one day, Ethel is thrown into a heart-stopping adventure. With her friend Boydy by her side, Ethel struggles to conceal her invisibility, all the while unraveling the biggest secret of all: who she really is. From the talented author of TIME TRAVELING WITH A HAMSTER comes another utterly original, deeply poignant--and humorous--novel about a girl who, by disappearing, will write herself into your heart forever.